What is our deal with watching little creatures causing mayhem? It seems like we’ll never really get tired of watching little monsters cause chaos while eating/killing their way through a city. 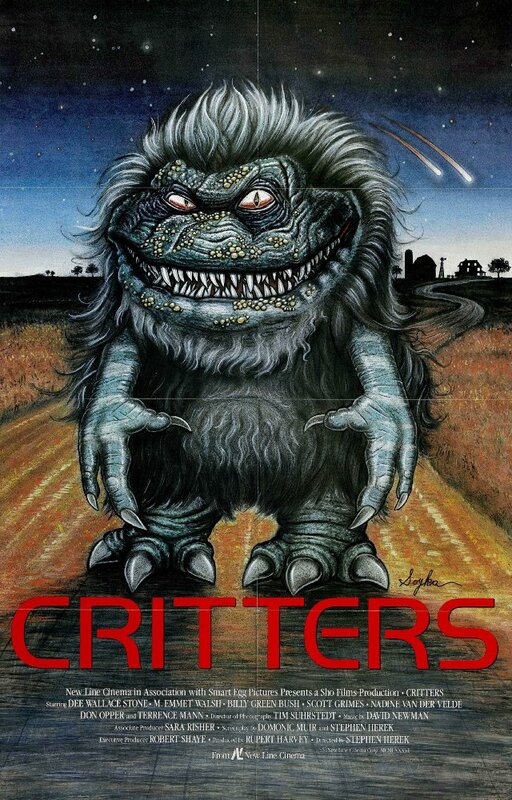 Although, there’s no shortage of flicks where little creatures are torturing the populace, the horror treat that is Critters stands out in my mind because there’s a random Sci – Fi element that’s sprinkled throughout the flick that makes you forget you’re watching a movie about a bunch of little creatures with killer appetites. This flick was made at a glorious time for horror flicks where slashers and creatures rained supreme in the direct to video rental stores. There’s a certain tone to 80s horror flicks that I’ve always appreciated because the ridiculousness is embraced and ironically, taken quite seriously. Although this seems like an oxy moron statement, there’s a respect to these kinds of flicks because the movie is not constantly winking at the audience. They treated their movies like works of fun art and this sort of attitude makes the entertainment in these horror flicks seem more legitimate. This flick was another discovery in a long list of movies that I ran into during a lazy Sunday afternoon or couch surfing. I suppose the random mix of Sci – Fi and horror made this thing the perfect fit into a Sunday filled with nothing but time. When you consider however that this flick is filled with little alien monsters, bounty hunters, explosions and that right amount of mischief from the little creatures, you realize that the right blend of random is actually a great formula for a fun time, which is the foundation of my love for all things horror. 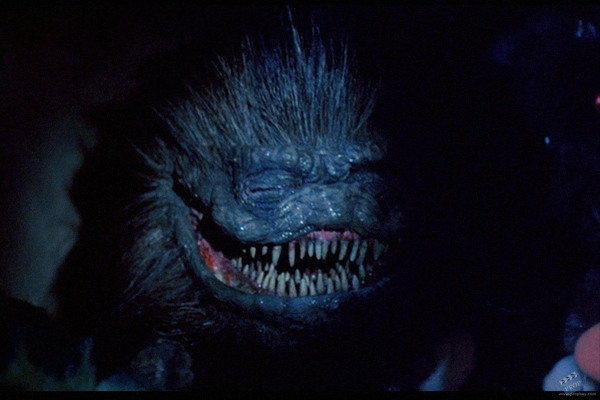 Let’s breakdown the kookiness that is Critters; the creatures themselves have always had a cool look to me; they’re essentially a bunch of black balls of fur but then you take a look at their blood red eyes and razor sharp teeth and you think you’re dealing with a bunch of baby demons. These creatures however, turn out to be aliens, yes, dangerous ALIENS known as the Krites (stay with me here, there’s a lot more random goodness) on their way to be transported to a prison station. These little Krites however, are much more clever than they look and they manage to escape their captors and manage to land on Earth (in a small farm town in Kansas no less). 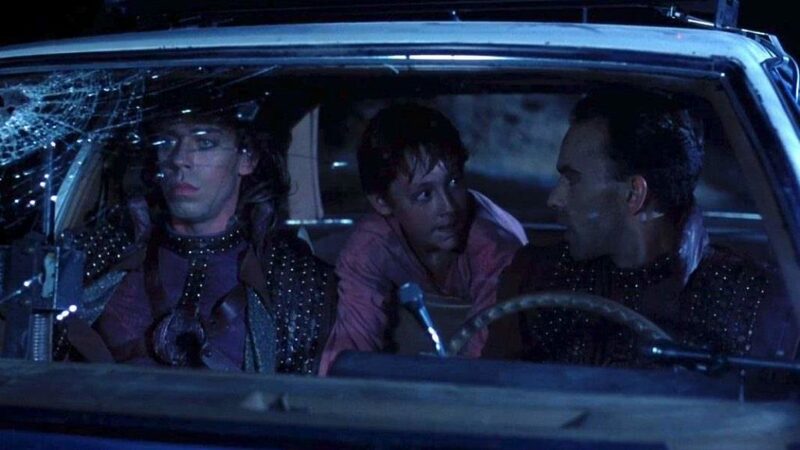 In response, two bounty hunters are sent to capture the Krites and take the forms of humans, with one taking the form of a popular rock star, Johnny Steele (the most 80’s looking rock star stereotype this side of Journey). The Brown family discover the Krites, in the midst in all their terror – filled mischief and it’s up to the Brown family working with the shape shifting bounty hunters to make sure the little monsters go away for good, still with me? FANTASTIC. A nice pair of hairy…creatures. Can we call this the Critter mobile? 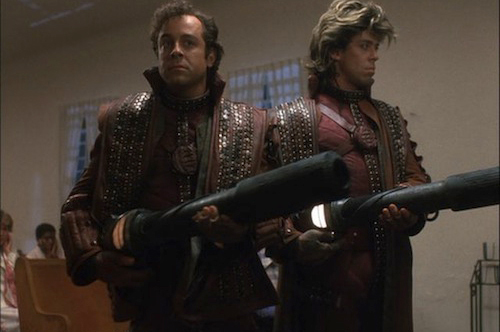 Bounty hunting never looked OH SO…80s. As absurd as it sounds, there’s elements of so many flicks that made this one work for me, the bounty hunters for example was a nice touch in a helping us Earthlings deal with the monster problem and gave a good narrative to what the hell these things are in the first place. Most creature features have a theme of just going with the flow that monsters exist and these things are now terrorizing us, period. 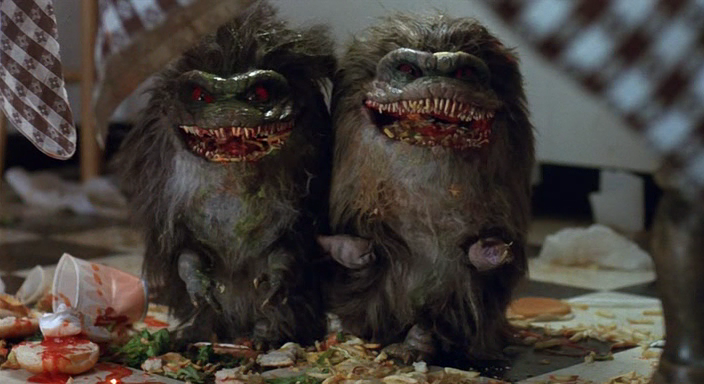 Another nice touch is how these creatures actually work well as a unit, I mean, they were intelligent enough to escape an intergalactic prison transport and besides their voracious appetite for flesh and penchant for mischief, I’m guessing these are intelligent beings? The bounty hunters were also a great addition because their shape shifting shtick gave way to some pretty good comedic moments; as mentioned earlier, one decided to take the shape of a famous rock star while the other one took many forms throughout the flick which gave way to some great comedic moments. It would be so easy to just lump this flick in to the likes of other horror treats filled with little murderous bastards like Gremlins or Ghoulies, but I’d rather go the route of embracing what separates this flick from others because that is what makes the odd nature of these sorts of flicks more endearing. So let’s embrace the ridiculous and appreciate those who strive to make it genuinely entertaining by loving their craft. Cheers to the stories that make you scratch your head but eventually make you GRIN.